Share the post "Safe Baby/Kid Shampoo Guide"
Hair washing was a pretty pointless exercise for Felix for the first several years of his life; he was bald until 2. Wolfie has a bit more hair, so we use a tiny dab of Farmaesthetics Fine Herbal Cleanser as a shampoo for him about once a week. Even once they are sporting longer tresses, babies and toddlers really don’t need baby shampoo at bath time. As babies, both my kids have gone weeks without anything other than warm water in their hair, and their scalps never were greasy–honestly! I will admit that sometimes their little heads did smell slightly like a puppy, but I sort of like it. Now that Felix is 6, he likes to shampoo his hair every time he showers. The natural baby shampoo brands listed below (under The Good Stuff tab) are perfect for babies and kids alike (and even grownups, if you aren’t that picky!). I don’t use shampoo on my kids often, but when I do, my pick is Babo’s line of safe, delish-smelling shampoos. When avocado blobs (or worse) end up in your little one’s peach fuzz, reach for a natural baby shampoo that doesn’t brag “tear-free” on the label. “No cry” shampoos typically–though not always–contain a formaldehyde-releasing chemical called 1,4-dioxane. Note that most of the baby shampoos recommended below are eye irritants. In general, there is no need to buy different products to clean different parts of your little one (with the exception of his teeth, if he’s got any). The shampoos below will work just fine on your baby’s body. Babo’s line of natural shampoos and washes are my go-to for Felix, who now also needs conditioner since his hair easily tangles and frizzes. Babo’s products, which are produced on an organic farm in upstate New York, come in a variety of very pleasant, 100% natural fragrances, and their shampoos all double as washes and/or bubble baths. Some of Babo’s line does contain sodium benzoate, but we do not carry these products in our online store. This shampoo (which comes either unscented or coconut) is a pricey option ($21.95 for 8 ounces), but will be safe on even the most sensitive of skins, given that’s it’s made of just water and organic saponofied coconut oil. Where to Buy: Amazon and other online retailers. This shampoo is packaged in phthalate– and BPA-free plastic, so you don’t need to worry about these toxins leaching into the product, which itself does not contain any worrisome chemicals. This is good for those of you who want an unscented, no-frills shampoo for baby. California Baby makes a safe line of baby shampoo/body wash that is available in tons of stores. Note that theirs are tear-free but do not contain a 1,4-dioxane. California Baby shampoos contain sodium benzoate, a controversial–although food grade–preservative. In the concentrations present here, I feel okay about it, but we have chosen to offer only products free of sodium benzoate in our online store. Where to Buy: Amazon and many brick and mortar stores. You’ll pay around $23 for a 17.5-ounce bottle. EMAB makes scented and unscented certified organic baby shampoo/body wash from natural castile soap. This is not a “no-tear” product and contains no fragrance, sodium lauryl sulfate (SLS), artificial preservatives, parabens, phenoxyethanol, or phthalates. While this shampoo does contain more ingredients than the brands listed above–and not all of them are natural or organic–Beautycounter is a brand that really does it’s research, and even tests its products after production to ensure purity. What about Beautycounter’s Gentle All-Over Wash? I would feel comfortable using this wash on my own kids, as it has a short ingredients list and Beautycounter is committed to testing all their products for purity. However, this wash contains sodium benzoate, an ingredient that Skin Deep rates a 3 and about which I have some concerns. For this reason, I would call it Okay Stuff rather than Good Stuff. Pleni sent us some samples and we really enjoyed the smell and overall performance of the product. While it’s not an all-natural option, the synthetics it does contain are of low concern. Made’s Of’s Baby Shampoo & Body Wash is free of phthalates, parabens, sulfates, and synthetic fragrances. The surfactant (foaming agent) it uses is decyl glucoside, which is much safer than the more common cocamidopropyl betaine. While not officially a tear-free option, Poofy claims that this Baby Shampoo/Body Wash won’t sting little eyes. I like it for its nice short list of ingredients, which includes organic apple cider vinegar. The surfactant used in this shampoo is decyl-polyglucose, which appears to be safe, but about which studies are lacking. I received a bunch of Mustela products at my baby shower, and they were appealing to me at first: they’re pricey, French, and even sold in some health food stores (check, check, check!). Sadly, it seems they are among the most toxic products you can use on your baby, for hair washing, poop wiping, or skin moisturizing. Almost all of the ingredients in their baby shampoo are concerning (including fragrance and parabens), and the Skin Deep ranks their Bebe Baby Shampoo as a “high hazard” product. What confuses me is this: On their website, Mustela claims that all of their products are free of parabens and phthalates, while the same site lists one the “main ingredients” of their shampoo as methylparaben. Until I can get a straight answer out of them, I will avoid Mustela.L’Occitane is another expensive French skincare line to be avoided (with the exception of one or two products); their Shea Mom & Baby Cleansing Gel contains dozens of ingredients, among them fragrance and PEG-7 glyceryl cocoate. L’Oreal Kids line of shampoos should be avoided, despite the “now paraben free!” claim on the bottle. The rest of the ingredient list is devoid of anything safe–from fragrance to PEG chemicals to sodium laureth sulfate. This is the worst of the worst. Aveeno’s skincare line for babies leaves much to be desired. The Baby Wash & Shampoo contains fragrance, sodium laureth sulfate, PEG-150 disterate (Skin Deep score: 3), and PEG-80 (Skin Deep score: 5). The ubiquitous Nature’s Gate makes a baby shampoo that, surprisingly, contains fragrance, as well as sodium laureth sulfate. Despite its name, Johnson’s Baby Shampoo with Natural Lavender is far from natural. It contains the colorant Ext. D&C violet 2, a potential carcinogen, among numerous other questionable ingredients. Burt’s Bees Baby Bee Shampoo & Wash contains synthetic fragrance as well as limonene, a definite skin and respiratory irritant, with potential carcinogenic properties. Earth’s Best uses a tear-free formula that contains lauryl lactate (Skin Deep score: 4) and synthetic preservatives in their Sensitive Skin Shampoo & Body Wash. Yes to Baby Carrots’s shampoo and body wash for babies and toddlers claims to have “100% natural ingredients,” yet Skin Deep rates this product with a 3, due to retinyl palmitate, and tocopheryl. What about honest company shampoo? Honest is Good Stuff! We will be updating the guide in 2016 to include them! Honest has a black stripe on the bottom of their baby wash samples I got, I read the black stripe means it has chemicals in it! How do I find out if this is true? Nope, that’s just an internet rumor! Everything is a chemical. Water is a chemical. What about shea moisture Raw Shea Chamomile & Argan Oil Baby Head-To-Toe Wash & Shampoo? What about Ava Anderson? I’m loving All their products, and have yet to find anything more non-toxic. Update: Ava Anderson is Sneaky Stuff! Turns out they included synthetic fragrances, despite the label saying otherwise. Ava just had third party tests run and all stuff was shown to be as it said. THey have since been bought out. (due to harassment) and now under a new name. HOwever, Honest company is under the radar. again. So by that do you not recommend Honest company anymore? What about Shea Moisture Baby products? I haven’t yet reviewed Shea Moisture yet (although I see it everywhere), but will add them to our list of products to review in the coming wees/months (fair warning: the list is long!). If you would like a faster response, you can use our Pick My Brain service. Burt’s Bees has a fragrance-free baby shampoo now, which also doesn’t include limonene. How does this version of the product rank on your list? Would it still be consider “Sneaky Stuff”? This Burt’s Bees is Okay Stuff: http://amzn.to/1R3iXg4. Still has linalool and sodium benzoate, so I would recommend the brands above over Burt’s Bees. Hi! What have you heard about Puracy? I don’t like some of the ingredients they use, including the preservative benzisothiazolinone. Hi! What about Dr. Bronner’s? Hi! What about Babyganics Shampoo+body wash – fragrance free? Hi! What about Babyganics Shampoo +body wash – fragrance free? It’s okay. Def not natural but the synthetics they use do seem to be safe. Note that other BabyGanics products are definitely Sneaky Stuff! How does noodles and boo rank? Do you have an update on the Shea Moisture Baby Products ? What about Nature’s Baby Organics – Shampoo & Body Wash Vanilla Tangerine? Or Neal’s Yard Baby Bath and Shampoo? I don’t know either of those brands but will add them to the list for review! What about Weleda baby shampoo and body wash? Weleda is okay. It does have some essential oils that are of questionable safety, unfortunately. How about Original Sprout Hair and Body Baby? Or Four Cow Farm Baby Wash? I live overseas and don’t have a lot of options available (None of the the Good Stuff! ), so really trying to find the best one I can, and don’t want to have to rely on shipping. I’ve been in search of things that are also locally available in my area, and Original Sprout is one of them. I also was unsure of their products and wanted to know are there particular ingredients that make Original Sprout just Okay and not Good Stuff? BTW – love your site – I use it to reference almost every product I use now and have become extremely conscientious of products that come in contact with my family! Original Sprout doesn’t disclose exactly what’s in their fragrance, and they also use some pretty bad ingredients, albeit in addition to a lot of good ones (example: cocamidopropyl betaine). How about cerVE baby wash? I just bought Hones wipes for my baby (after reading your blog), but these Bloom Baby Wipes seem good as well? Or am I mistaken? Do you know anything about the ‘Attitude worry-free ingredients’ line? Specifically the Attitude “little ones” shampoo for kids? Thanks! The shampoo is fine. I don’t LOVE sodium benzoate, but nothing else jumps out at me as worrisome. How does Cetaphil Baby Wash & Shampoo rank? Cetaphil Baby Wash is Sneaky Stuff. It contains sodium laureth sulfate among a bunch of other bad ingredients. How does Little Green baby wash and shampoo rank? Sneaky Stuff, unfortunately! Phenoxyethanol, fragrance, etc. Thank you for this post. What do you think about Healthy Times? Ok, I’ll see if I can find out for sure. If so, I’ll prob get that one because they carry at a local store to me. Thank for caring so much to help others keep our babies safe! What is your opinion for Tom’s baby shampoo and wash? Thanks! I don’t know that brand but will add it to the list for our update! Any suggestions of a particular shampoo for cradle cap? Hi I just found your site and LOVE ! How do you feel about Shaklee Baby? I have been using it on my babies. Shaklee’s baby line is Okay Stuff. I think there is better out there, but it’s not terrible (lotion better than body wash/shampoo). Thank you so much for responding! Love your site and subscribed on your email list!! Hi! what do u think of Mommys Bliss? love your site btw!! Any thoughts on Earth friendly baby? What UK products would you recommend? I’m curious that you listed Aveeno under the Bad stuff but EWG ranks Aveeno Baby Gentle Conditioning Shampoo as 1. What do you think about their Aveeno Baby Gentle Conditioning Shampoo? I disagree with EWG. Aveeno’s shampoo has a lot of synthetics, including cocomidopropyl betaine and fragrance. EWG also lists Babyganics Shampoo + Body Wash, Fragrance Free as a 1. What is your opinion on this? I would call it Okay Stuff, not Good Stuff. I don’t like that Babyganics uses phenoxyethanol and sodium benzoate. What about baby boo bamboo shampoo and lotion? What do you think of Little Twig (www.littletwig.com) products? I will add to my list for when we update this guide! Don’t know that one but will add to my list for researching! I am so grateful to have stumbled on your site. “STAY SANE!” I have a question about essential oil use in baby products, including those recommended on the Good Stuff. I’ve always understood that most essential oils were a neurotoxin for children, so I’m confused when I see them listed as ingredients in baby products? From the research I’ve done, I am not worried about the small amounts of–and the types of–essential oils found in any of the Good Stuff products that I’ve vetted for babies and kids. Please do share any research you’ve uncovered on this topic! Thank you! What’s your take on Live Clean products for baby Maia? I can’t find anywhere on their site where they list actual ingredients (which makes me a bit suspicious). If you can send to me, I will check them out! How would you rate Seba med shampoo? don’t know that one but will add to our list! I need a product to wash my five year old’s eye lids… She gets stys and it’s been recommended that I use a no tears shampoo on and around her closed eyes (in conjunction with regular warm compresses). Do you have any suggestions? I saw you have California Baby listed as no tears… I don’t think it needs to be a shampoo, though. Unless there is a reason that oil would be bad? Whats your take on Puracy 100% Natural baby shampoo and body wash? I use honest company but I find the kids hair lacks that shine and the next day the hair losses its smell…only other one I’ve tried is la Roche posay uriage and their hair smelled amazing for at least three days! Any suggestions on an all natural products? Hello! I have found your site so helpful as a first time mom to a preemie I feel so sensitive to what I use with her and with so much going on in our lives right now it’s nice to refer to your site and not have to do the research myself, I’m so thankful!!! How do you feel about Baby Shampoo and Body Wash by MD Moms – Eczema Approved Hypoallergenic No Tears Formula? The ingredients in that product seem to be safe (lots of synthetics, but all ones that are rated as safe by EWG). Thank you so much for taking your time to look at the ingredients and your response! I appreciate it so much!! I’ll keep it on my list of things that I feel are okay for baby but first I think I’ll be purchasing Babo!! I don’t see anywhere on this site where it lists all the ingredients in their products? If you have a label with everything listed that you can send me, I’m happy to weigh in. Thank you very much for the reply. I don’t have any labels but I found the links which list the ingredients. Thank you very much for your response and very thoughtful of you. What about melaleuca’s body wash? Their Renew line is supposed to be amazing. paraben free..non toxic.. etc. I think they also have a kids line called Koala Pals. Maia do you have any update on Melaleuca? Thank you. I haven’t done a comprehensive review of Melaleuca, in part because they don’t readily disclose any ingredients (in and of itself, huge red flag). I am fairly certain it will prove to be Sneaky Stuff, but don’t quote me on that just yet. I actually am more worried about the cocamidopropyl betaine, a synthetic surfactant associated with allergic dermatitis. Any updates on the Just Hatched Shampoo? Thanks! Yes, and I’m not big fan unfortunately. Mostly because of the cocoamidopropyl betaine it contains. I don’t know what I would do without this site! Would you review Giggle (body wash and shampoo)? Hi Andrea, and sorry for the delayed response on this! This product is okay…certainly not all natural and contains phenoxyethanol, which I don’t love, but better than conventional products for sure! What about Baby Shea moisture products??? I read above where you said honest products were good and then weren’t sure. What do u think about using the honest products? I personally wouldn’t worry too much about using Honest products, even in light of the latest scandals. Ideally, however, we’d all be using stuff from smaller manufacturers where the supply chain for all ingredients is easier to follow. Sure, I will add them to the list for future review. Thanks for the suggestion! One product I don’t see is mustela. Definitely not natural but is it pretty bad or ok or even good? I was thinking their foaming shampoo. Never mind. Just found your second bad tab. Thx!! Acure it is! I’m interested to know if Thinkbaby shampoo and body wash are safe. I would also like to know if Better Life’s Soap and Lotion is safe. Green People is okay but not great (don’t like cocmidopropyl betaine in particular). I’ll have to look into Tropic! Thanks for the suggestions. any feelings on Kiss My Face products? I don’t like that Cocamidopropyl Betaine is the surfactant they use. I use Babo but the Calendula shampoo is it good also? What are your thoughts on Dolphin Organics shampoo/body wash? Burts Bees irritates my son’s skin, I’m currently using a Mustela dermo cleanser sample while I search for a better long term solution. How do you feel about Just Hatched Baby wash and Just Hatched baby lotion? It says it’s free of all the yucky stuff & I love the way it smells. I don’t know this brand, but will check it out! What product wash and lotion are best for my daughters sensitive skin but won’t break my check book? What are your thoughts on Arbonne baby products? Arbonne doesn’t share all of their ingredients, so it’s hard to judge their products. INACTIVE INGREDIENTS: water, dicaprylyl carbonate, diisopropyl sebacate, polyglyceryl-2 dipolyhydroxystearate, polyglyceryl-4 isostearate, dipentaerythrityl tri-polyhydroxystearate, glycerin, glyceryl behenate/eicosadioate, helianthus annuus (sunflower) seed oil unsaponifiables, arnica montana flower extract, calendula officinalis flower extract, chamomilla recutita (matricaria) flower extract, aloe barbadensis leaf juice, copernicia cerifera (carnauba) wax, tocopherol, magnesium sulfate, sodium chloride, sodium stearate, chlorphenesin, phenoxyethanol. INACTIVE INGREDIENTS: water, C12-15 alkyl benzoate, caprylic/capric triglyceride, coco-caprylate, polyglyceryl-2 dipolyhydroxystearate, dicaprylyl carbonate, polyglyceryl-4 isostearate, cetyl dimethicone, glycerin, copernicia cerifera (carnauba) wax, cetyl alcohol, euphorbia cerifera (candelilla) wax, tapioca starch, calendula officinalis flower extract, chamomilla recutita (matricaria) flower extract, aloe barbadensis leaf juice, triethoxycaprylylsilane, tocopheryl acetate, magnesium sulfate, sodium chloride, silica dimethyl silylate, stearic acid, chlorphenesin, phenoxyethanol. INGREDIENTS: Aqua/Water/Eau, Glycerin, Sodium Lauroyl Sarcosinate, Cocamidopropyl Betaine, Lauryl Glucoside, Cellulose Gum, Helianthus Annuus (Sunflower) Seed Oil, Chamomilla Recutita (Matricaria) Flower Extract, Calendula Officinalis Flower Extract, Arnica Montana Flower Extract, Aloe Barbadensis Leaf Juice, Sodium Cocoyl Glutamate, Disodium Cocoyl Glutamate, Polyquaternium-10, Polysorbate 20, Tocopheryl Acetate, Ascorbyl Palmitate, Sodium Gluconate, Sodium PCA, Hydrogenated Lecithin, Sodium Acetate, Sodium Chloride, Isopropyl Alcohol, Citric Acid, Phenoxyethanol, Chlorphenesin, Salicylic Acid, Sorbic Acid, Potassium Sorbate, Sodium Benzoate, Gossypium Herbaceum (Cotton) Seed Oil, Anisaldehyde, Linalyl Acetate, Decanal, Vanillin, Hibiscus Abelmoschus Seed Oil, Santalum Album (Sandalwood) Oil. INGREDIENTS: Aqua/Water/Eau, Glycerin, Caprylic/Capric Triglyceride, Carthamus Tinctorius (Safflower) Seed Oil, Glyceryl Stearate Citrate, Butyrospermum Parkii (Shea) Butter, Dimethicone, Squalane, Helianthus Annuus (Sunflower) Seed Oil, Polyglyceryl-10 Dipalmitate, Olea Europaea (Olive) Fruit Oil, Calendula Officinalis Flower Extract, Chamomilla Recutita (Matricaria) Flower Extract, Zingiber Officinale (Ginger) Root Extract, Aloe Barbadensis Leaf Juice, Allantoin, Tocopherol, Bisabolol, Carbomer, Aminomethyl Propanol, Stearic Acid, Caprylhydroxamic Acid, Caprylyl Glycol, Chlorphenesin, Gossypium Herbaceum (Cotton) Seed Oil, Anisaldehyde, Linalyl Acetate, Decanal, Vanillin, Hibiscus Abelmoschus Seed Oil, Santalum Album (Sandalwood) Oil. How about Naveen Baby Shampoo & Wash Mousse? It is certified organic by the Soil Association which I believe has even higher standards than the USDA. I would call Dapple Okay Stuff, and same with Attitude. They use a lot of synthetic ingredients, but seem to choose the ones with the best safety profiles. I have only looked briefly at the Sesame Street line, but looks like Sneaky Stuff to me. Hi Maia- super helpful, I was curious about the Dapple products as well… do you like them over others? I also wanted to ask about Attitude Little Ones. Thanks! It’s Okay. It contains a lot of the newer surfactants (which we THINK are better than SLS and SLES), and also has sodium benzoate. Wouldn’t be my top pick, but definitely better than conventional stuff. What are your recommendations for babies with really easily irritated eyes? We were using California Baby, but it seems to dry her hair out a lot. Shea Moisture makes her scream if even a tiny bit gets in her eyes. I don’t like the sound of numbing agents, but California Baby seems to be the only one on your list that is tear free without them. Honestly, you could try just washing with water and then applying a detangler after bathtime. Otherwise, I don’t know of another shampoo that would be gentler on the eyes than CA Baby. I love, love, love your site! Thank you for your insights!!! Babo Products say sulfate free, but not paraben free – do you know if they contain parabens? Hi, what do you think about shoosha organic baby shampoo? The tear free version ? I don’t know that one but will look into it! What about Baby Hugo Shampoo? So glad I saw what you wrote about Mustela. We got a bottle as a gift, and fortunately saw this post before opening it, so we were able to donate it. We also found a Burt’s Bees shampoo that is unscented, and doesn’t have limonene or any other fragrance listed in the ingredients. Do you think that’s ok, or would the fragrances not necessarily be listed? Hi! Fragrances would definitely need to be listed on the Burt’s Bees label. The biggest concern is if it says simply “fragrance” or “parfum,” as that can mean dozens of undisclosed chemicals. But if you don’t see anything like this, you should be okay:). As for Baja, I don’t know that brand! I’ll look into them when we update the relevant guides, but in the meanwhile, a short list of ingredients sounds promising:). What do you think about 100% pure baby shampoo? I am not sure what that means, but I know ewg has Limonene listed as a 6. I am looking for something that is tear free, I wanted to use Dr. Bronners baby until I got some in my eyes, and it was VERY painful. I was wondering if you know anything about the Little Twig products? I’d like to try the unscented baby wash, it seems safe. I don’t know though…it could be sneaky?? Trying to find a baby shampoo that has surfactants to get rid of biofilms in a sinus rinse for me 🙂 Not sure which ingredients are surfactants. What would be my best bets? (And leftovers I could use for my toddlers 🙂 Thank you!! Preferring to try this rather than surgery, lol. Hey there! What about Nature’s Gate? I recently bought their nature baby vegan baby wash and shampoo at a really good price! Nature’s Gate is better than conventional products, but I’m not a big fan–nothing organic, lots of synthetics, phenoxyethanol, etc. Hello, could I get your opinion on the new seventh generation coconut care shampoo and lotion?? Love your site!! This is on par with other Seventh Gen products. Has some synthetics in it, so I wouldn’t say it would be my top choice, but overall nothing alarming. Thank you for the AWESOME site and reviews!!! What about buds head to toe cleanser? I don’t know this brand and will have to look into it! Hi, what are your thoughts on Whole Food’s 365 everyday Baby Shampoo and Baby Body wasH? Thanks! Hi, what line of California Baby shampoo & body wash would you recommend for newborn baby? Calming or Super Sensitive or other line? What about four cow farm baby products?? Don’t know this one but will look into it! What about Bobini baby products? Don’t know this brand, but will look into it! What about Dr. Natural pure castile soap? Ingredients: Water (Aqua), Saponified Coconut, Olive and Hempseed Oil (with retained Glycerine), Tocopherol (Vitamin E), Hydroxyethyl-cellulose (Plant Derived), Citric Acid, Butyrospermum Parkii (Organic Shea Butter), Rosemary (Rosmarinus Officinalis) Extract. What about Johnson & Johnson Baby Shampoo? Do you recommend using that for bathing the baby? I don’t, no. There are lots of other, safer brands out there. Which babo botanicals products have benzoate in them? I found what looks like a bigger bottle of the shampoo you have on amazon. It has the same name at least. Is it still benzoate free? Just double checking that you prefer Acure baby products over both California baby and Babyganics? Is it due to the preservatives? Love your site & thanks!!! Yes, among other things. California Baby is good (but uses sodium benzoate), but Babyganics I consider Sneaky Stuff (not all their products, but you have to read every label, whereas Acure is across the board safe). We consider California Baby Good Stuff (although it does contain sodium benzoate). Hi, Thanks for your website very informative.! I live in Canada and shipping these kinds of products from the US often means a lot of shipping charges. I know a Canadian website where I buy soap and deodorant for my husband and I, but none of your good stuff shampoo are to be found there! Directions: Gently apply to your wet screaming baby’s hair. Rinse thoroughly. Put clothes on baby. Show off to friends. I’ve been using Weleda calenda baby shampoo and wash. I just read that limonene and linalool are bad ingredients. In weleda it says that the limonene and linalool is a..* Component of Natural Essential Oil. Can you explain if that’s better or still bad stuff? Thank you so much! Definitely better, and safe in my opinion:). Can you please tell me if any of these ingredients concern you? I’ve been using Weleda calendula shampoo for awhile and I just want to make sure it is safe for my baby: Water (Aqua), Coco-Glucoside, Prunus Amygdalus Dulcis (Sweet Almond) Oil, Alcohol, Disodium Cocoyl Glutamate, Sesamum Indicum (Sesame) Seed Oil, Glycerin, Carrageenan (Chondrus Crispus) Extract, Sodium Cocoyl Glutamate (Sodium Cocoyl Glutamate), Calendula Officinalis (Calendula) Flower Extract, Xanthan Gum, Lactic Acid, Fragrance (Parfum)*, Limonene*, Linalool*. Overall, no, nothing in this list is alarming. There is some contraversy around limonene and linalool (even when naturally occurring). In my own home, I would be fine using this product. Thank you so very much! I love your website and appreciate it greatly! HI , I wanted to see what you think of the seventh generation Coconut Care line, the shampoo and wash, the lotion and the diaper cream!! Thank you so much for your website and all your help!! As a new mom all of this can be so overwhelming and you have made it so much better to be able to find products that are safe for my new baby and my family! I am also curious to know what you think of this product line. I have heard great things about using coconut oil. The 7th Gen coconut care is Okay Stuff. hi! what do you think about Baby Mantra Products? i love your website, thank you so much!! Baby Mantra is fine (although definitely not 100% natural). I know you mention arbonne, but they came out with a new baby line (i’m not sure how recent) but when I look up reviews its all for their old line, so I’m not sure if they just changed the packaging or if they’ve changed everything. Do you know how safe their newest baby line is? I’m just interested in their body & hair wash and lotion. We were using the baby, but I broke out in hives…not sure why so now we are using Wash with water organics, but it’s just too expensive. I wanted to try the acure line next for our 3mo old since my husband and I use that for ourselves. Any suggestions ? Shea Moisture, Earth Mama, Acure Organics, Honest, and Dr. Bronner’s brands can all be found at/ordered from Target. There is nothing so bad in this list, but it’s definitely not all natural–or organic. When it comes to moisturizing, I would recommend the Babo shampoo listed above. Hi, i really like your lists and took your advice on the baby wipes! However, as i live in the UK I’m struggling to find any of the shampoos here that you have recommended. Could you possibly recommend me something i could find here as a lot claim to be natural but are actually not! And I don’t know what ingredients to look out for or avoid! Hi there! I don’t know any brands off the top of my head, but if you send me something you like, I’m happy to weigh in! I live in Québec Canada, and it’s hard for me to find the brand that you review in your web site. Could you please give me your advice on this product? Eau, sodium lauryl glucose carboxylate et lauryl glucoside, décyl glucoside, sodium cocoyl glutamate, glycérine, gluconolactone et benzoate de sodium, protéine de soya hydrolisée, gomme de xanthane, PCA glycéryle oléate, dicaprylyl carbonate. Eh, this has a lot of sythentics although none of them is particularly bad. Just an FYI, we do now ship to Canada:). Hi, I’ve been trying to find a baby powder to use. I was leaning towards the honest company although they list Sodium Bicarbonate as one of their ingredients. Is this bad? Nope, that’s just baking soda:). Good evening! What are your thoughts on Fairytales Hair Care, particularly Curly-Q shampoo and conditioner, Rosemary Repel hair spray, and Tangle Tamer detangling spray? I haven’t researched this brand, but will add to my list for future investigation! First I would love to start by saying I LOVE THIS SITE! Second, I was wondering if these items are safe they are listed in the Babo Botanicals Berry Primrose Smoothing Shampoo and Wash ingredients but aren’t listed on gimme the good stuff ingredients. Would you let me know please. Thank you!!!! Yes, this product is Good Stuff:). I don’t know this one, but will add to my list for a future investigation. How about everyone soap for kids? I need to look into this one–will do! Is there an update on Nature’s Gate Nature Baby vegabn shampoo and wash? I have been using one that does not seem to have any SLS, and the fragrance is said to be naturally derived. Is there an update on Nature’s Gate Nature Baby vegan shampoo and wash? I have been using one that does not seem to have any SLS, and the fragrance is said to be naturally derived. Any info on the Acure baby 4-in-1 baby product? Any choices at Wal-Mart that are OK/better choices? Wonderful site and great info! Hi! I am looking for something that smells good! I am using honest company but it seems to be giving get him a skin rash. I also need a lotion because my son’s skin is dry! Any recommendations!? Thanks you! What do you think of the ThinkBaby line of products? Hi my daughter has a food allergy, what do you think of this product: Or could you recommend something safe. Please help, I am stressing! Truthfully, these are all Good Stuff, and you should feel comfortable using any on your baby. What is your opinion of Tubby Todd products? They claim to be all natural. These are their ingredients for their soap and shampoo. I tried the Organoderrm Cleanser. It comes in a foamer and is USDA certified with 95% certified organic ingredients. Can’t get better than that! I wrote the company and they have a Baby wash and shampoo in the works that should be out soon. It is also USDA certified. Hi. I love your articles and find them very educational! For shampoos, I like the Wash with Water Bare Naked Babydoll brand, and use that exclusively for my daughter. Would love to hear your opinion on it. Thanks! Wash with Water is made by a fellow Vermont momma and yes, it’s Good Stuff! Have you seen the new Bambo Nature body wash? What are your thoughts? I’m actually not into the ingredients, which is why I’ve chosen not to carry this in our online store. Hi I have been using Mustela’ biodegratable 2 in 1 hair and body wash on my infant. Which clains to have 0% paraben, phtalate and phénoxyéthanol. Im confused because the ingredient you mentioned in not mentioned on the side of the tube. Although it lacks some lather, I really like it. But if it is harmful I will obviously stop using it. Is “Everyone Shampoo” ok? How about their conditioner and baby lotion? Thanks so much! Are the “Everyone Shampoo” products ok? And their conditioner and baby lotion? Thanks! What are your thought on Noodle & Boo? Unfortunately, Noodle & Boo is Sneaky Stuff:). Any feedback on Original Sprout brand? What do you think of Baja Baby unscented lotion and shampoo/body wash? I know you have said Babo Botanicals is good stuff but does this include the Swim & Sport Shampoo and Wash. If not, do you have a good recommendation for a shampoo/body wash that is good for getting the chlorine and other chemicals off after time at the pool? Thank you! Any feedback on original sprout or think baby line like shampoo, lotion and sunscreen? Any feedback on ThinkBaby products…bath and sunscreen? 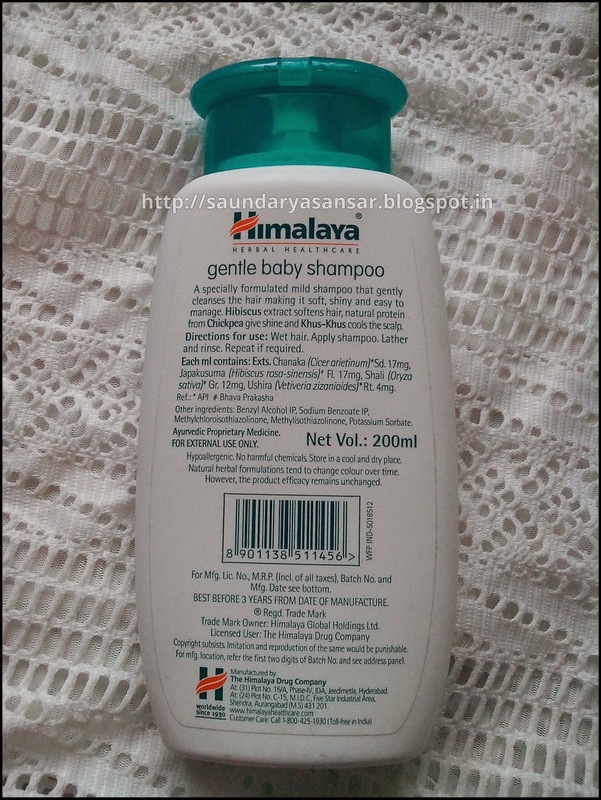 I wanted to know if Baby Mantra Shampoo and Wash – Newborn – Coconut & Olive is safe? Yes, I think BabyMantra is a fine option. What are your thoughts about Burt’s Bees Baby Shampoo & Wash? Thank you! I was wondering about the aloe leaf juice ingredient in Babo Botanicals Oatmilk and Calendula Shampoo & Wash if it’s a concern. Thanks again! Think a baby? What about Sharky’s shampoo? I don’t see anything about Johnson baby shampoo. Is it considered as the worst? Pretty much the worst, yes:(. (Their Naturals line actually isn’t so bad). Hi! Do you have info on Tom’s of Maine fragrance-free shampoo-body wash? Thank you! What about the Monat kids line? I’m looking for an affordable all natural shampoo and conditioner for my kids…. Are all Acure brands safe for kids? What are your thoughts on the Honest Company? The Internet doesn’t do a good job of recommending it. I was wondering if you have done any research on the young living products… they including the young living baby lotion, baby wash, foaming thieves hand soap, and dishwasher detergent. We haven’t thoroughly researched this brand, but it’s on our list for a future investigation. Have you posted a most recent list of products somewhere? This does not seem to include few brands that were discussed above, few months ago. Aqua [Water with Extracts of Organic Rosmarinus Officinalis (Rosemary) Leaf, Organic (Calendula) Officinalis Flower, Organic Vaccinium Macrocarpon (Cranberry) Fruit, Organic (Arnica) Montana Flower, Organic Cucumis Sativus (Cucumber) Fruit], Vegetable Glycerin, Sodium Methyl Cocoyl Taurate, Cocamidopropyl Betaine, Decyl Glucoside, Acrylates Copolymer, Cetyl Alcohol, Guar Hydroxypropyltrimonium Chloride, Cinnamidopropyltrimonium Chloride, Sodium Hydroxide, Caprylyl Glycol, Disteareth-100 IPDI, Ethylhexyl Glycerin, Caprylhydroxamic Acid, Parfum with Natural Extracts. Our color protecting Natural Shampoo is free of skin penetrators, mineral or petroleum oils, DEA, colors or dyes. Sulfate free moisturizing botanicals & nourishing emollients help wash away build-up & dryness. Scalp, hair & skin are left ultra soft, supple & nurtured. Restores moisture without a waxy or greasy residue. For all hair & skin types including Sensitive Sprouts. I have just noticed the Original Sprout brand being carried at our local supermarket (Sprouts) and was wondering if you could add it to your list to review. My son has curls in the back of his head that can get frizzy and I noticed they had a curl enhancer. If you know of any other good products to tame unruly curls I’d love to hear about it. Thanks! You’re site is the best and I’m loving the Facebook live chats. Any updates on the Original Sprout line of products? What ingredients we should look for when we buy kids shampoo? I wish you would add Wash With Water and Zoe Organics to the Good Stuff List! Those companies deserve extra business! Such great products, and such clean ingredients. I’ve been using both brands on my kids since my first kiddo was born in 2014, and have loved every product so far, especially Zoe. Worth looking into! You raised an issue that is frustratingly common in bath, hair, makeup and skincare products sold in or to the U.S. when you mentioned the Mustela brand. First, bath products, beauty products, hair products, makeup, skincare products for any age range do not legally have to meet their promises because they are all labelled under the fda as cosmetics. Second, different toxins in these products can go under different names or combinations of names. Third, unless the item is specifically stated as being fda-tested, it isn’t. The fda approves the tests, testing guidelines, test procedures and test results submitted by the manufacturer of the product/s. If the fda has been intentionally deceived by a manufacturer they won’t know it until the public starts complaining about health or skin issues caused by the tested product/s. Third, many product lines are actually produced by the major drugstore brand manufacturers–l’Oreal, Revson (Revlon), etc. or even major pharmacies. Fourth, there are foreign cosmetics brands that change the production technique, recipe, and/or testing guidelines for the product lines they transport specifically to the u.s.
Have you heard of the Monat Kids Line? I can’t seem to find enough research or reviews on it to determine if it IS all natural or has sneaky stuff.